Referred to this website by your medical care provider? Click Here For "Sperm Boot Camp"
50% of all couples with Fertility problems have male factor issues contributing to their situation. To provide couples with the knowledge that they need to achieve a pregnancy and have a healthy child as quickly and effectively as possible. Which Scenario Best Describes Your Situation? 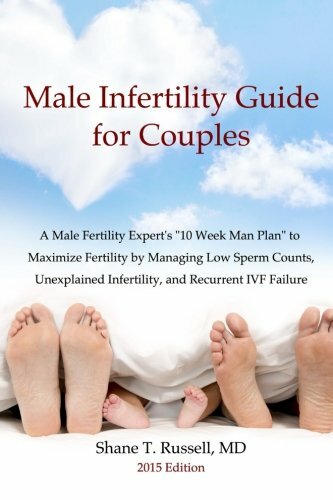 For couples who prefer to read their information in book or e-book format, much of the information on this website is contained within the book "Male Infertility Guide for Couples" which is available through Amazon.com. Click on the image to the right to be taken to Amazon.